COMO Maalifushi Island Resort is in the Maldives Thaa Atoll. 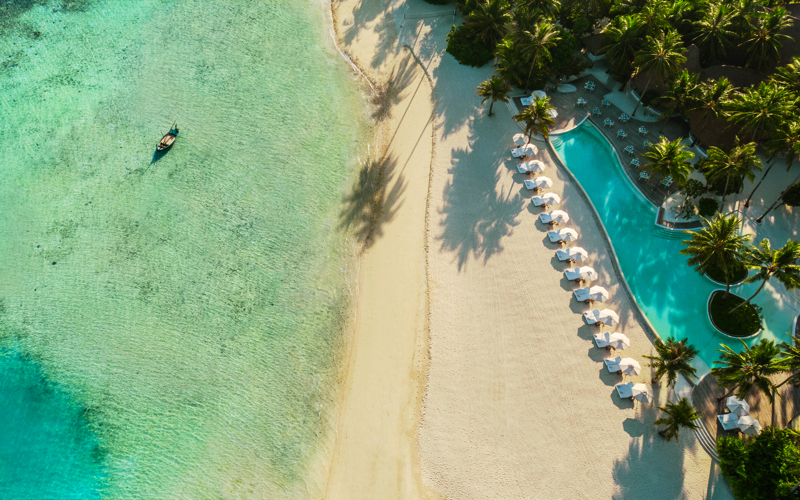 It is a beautiful island with overwater villas and beach suites, the ultimate away-from-it-all destination. 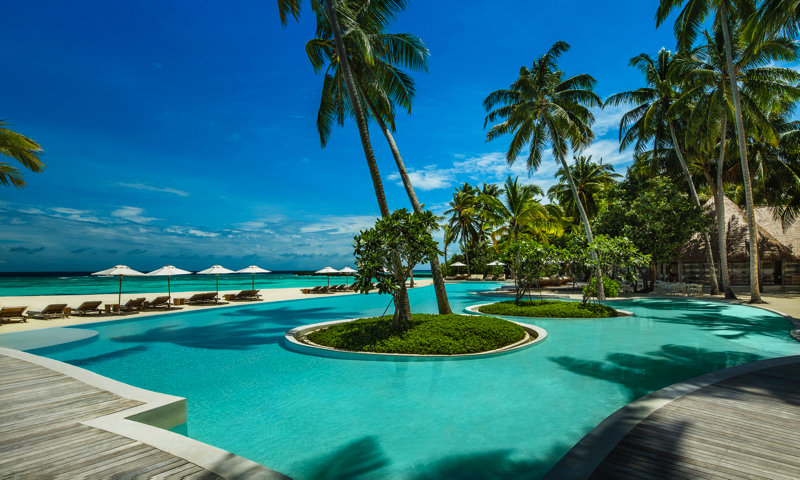 With low lying gardens views of the pristine white beach and turquoise lagoon. This wonderful island resort treats you to understated style and barefoot elegance. 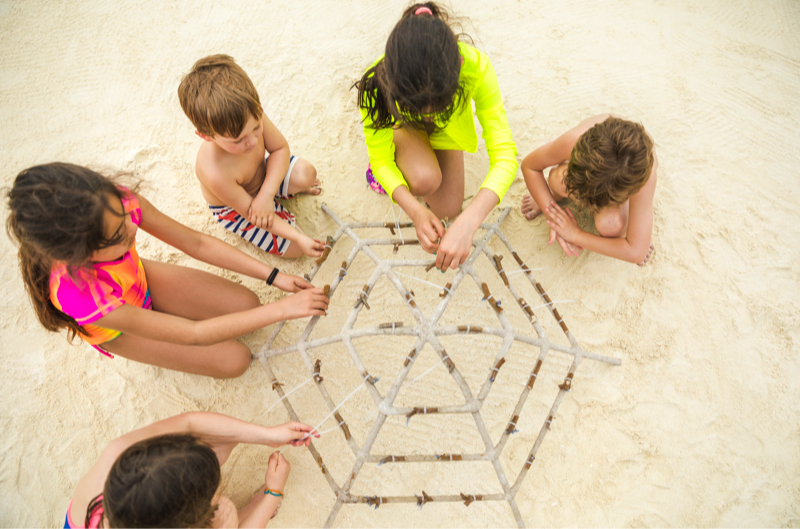 A sister hotel to the much admired Cocoa Island Resort. 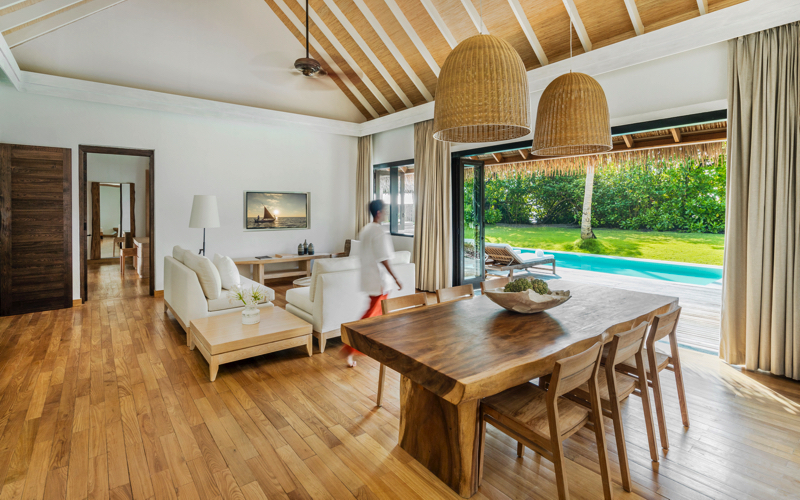 Accommodation at Maalifushi Island Resort includes 33 overwater villas and suites and 32 rooms, villas, suites and residences. Décor further brings the sea, sand and sky into every room. Wi-Fi is complimentary. The higher levels of accommodation also come with butler service. Maalifushi Island Resort has 3 restaurants, Madi which takes its inspiration from the region’s fresh, tropical produce and abundant seafood. Enjoy the delicious seafood BBQ on Friday night. Tai aims to be the best Japanese restaurant in the Maldives. 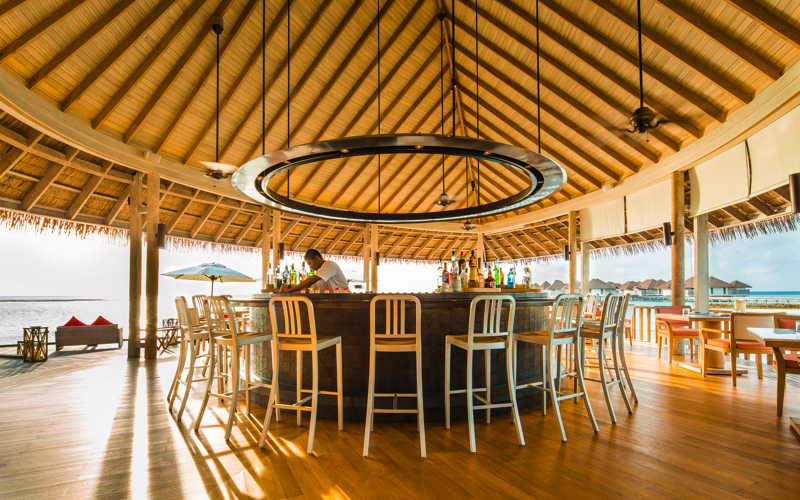 Thila is an informal Maldives restaurant and pool bar where you can chill out, with salads, freshly cooked seafood and pizza. The pool sits between the bar and restaurant and has been designed with the palm trees in the middle. Maalifushi Island Resort is perfect for diving or surfing holidays. Private trips to Farms area for the surfing. Alternatively take sailing lessons or charter a private boat. The excellent snorkeling and diving opportunities will keep the active amongst you happy. 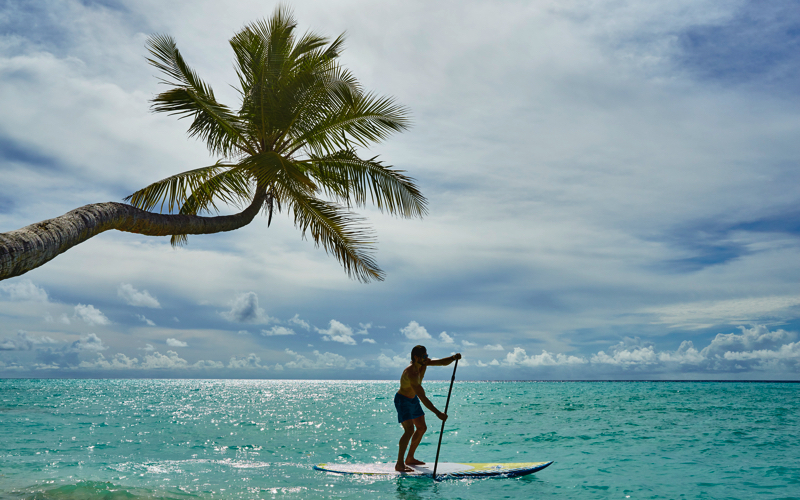 There is also Paddle Boards, Kayaks, Wind-surfing, Catamaran, Fishing and a gym. The resort also has a resident Marine Biologist. 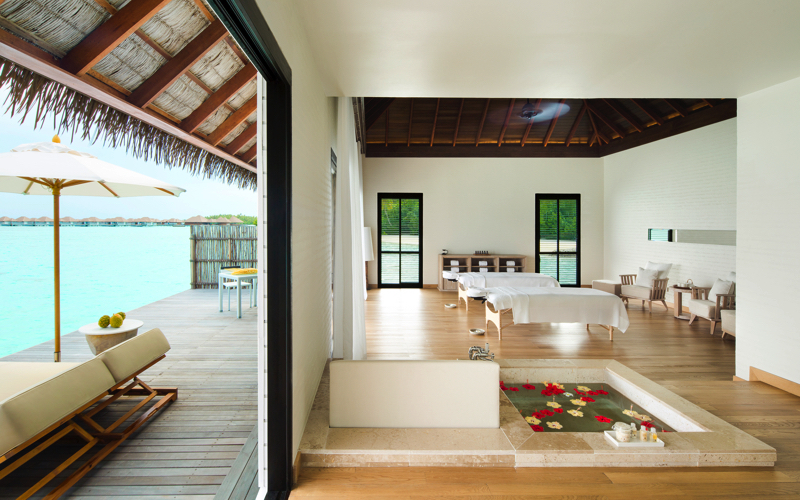 The COMO Shambhala spa, is the perfect place for you to enjoy a traditional treatment in one of 8 overwater rooms with ocean views. Enjoy yoga and holistic Asian therapies. Maalifushi’s uninhabited private island perfect for a castaway experience either as a family or for a romantic dinner for 2. Take a picnic or arrange a BBQ. There are a wide range of activity cruises, from dolphin spotting and turtle snorkeling to romantic sunset cruises. Play by COMO children’s programme available to keep the kids happy. Children of all ages are more than welcome. There’s a lot of inside and outside activities and plenty of toys. 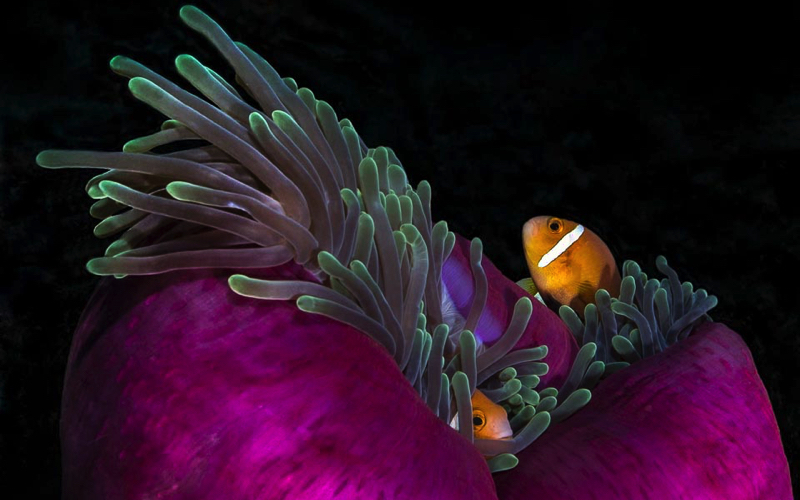 They can even help with coral propagation. 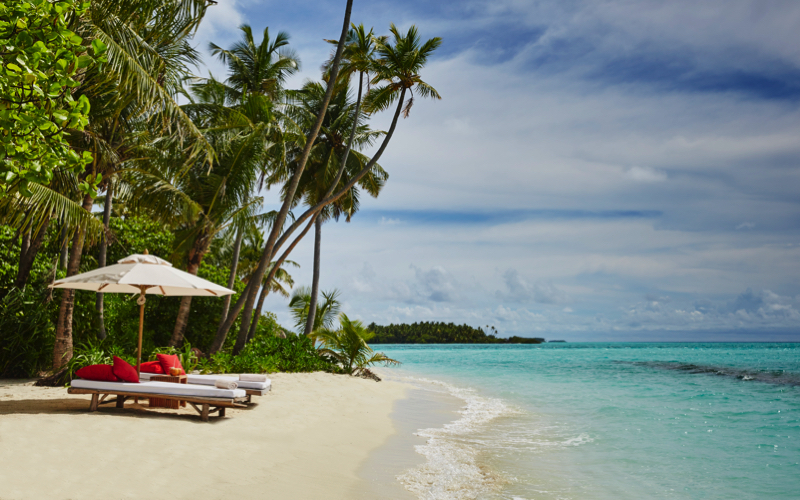 Contact us today to book the beautiful and elegant COMO Maalifushi Island Resort.